Amusement parks are often filled with rides of all types for the amusement of the park visitors. Walk into any amusement park and you won finish your visit without encountering one ride that is filled with overjoyed kids. This statement might trick you into believing that amusement rides are a reserve of the kids where instead they constitute a family affair allowing everyone to enjoy the ride. Their benefits are plenty and we won go through all of them. The main focus of this article will be to discuss the importance of including an octopus ride in an amusement park. 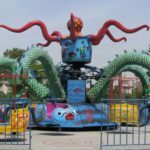 Of all the rides you will find in the park, the octopus ride has been given the least publicity although it is slowly becoming a favorite among park enthusiasts. 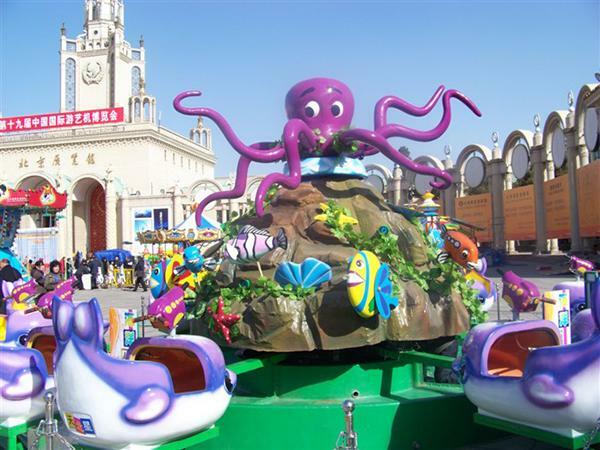 The octopus is a ride that resembles the sea octopus in physical appearance. Just like its natural relative, the octopus ride is normally equipped with eight arms that are attached to a central spinning axis. Smaller octopus rides might have one to three arms lesser but their appearance isn any less stunning. Each of the octopus arms is fitted with a car that spins on the rotary bolts that also serve to hold it in place. The arms themselves are made to move up and down and this combined with the rotary motion of the cars creates a thrilling experience that is enjoyed by the riders. Adult riders are required to be taller than 42 inches while children must be accompanied by adults. 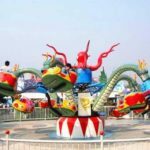 Before we tell you the advantages of octopus rides in an amusement park, let us briefly mentioned something on the types that are available. First of all there is the Eyerly Monster that comes with six arms that support a maximum of four cars each. The Eyerly Octopus has eight arms that support a maximum of two cars while the Eyerly Spider has just six arms. Other designs include the SDC Polyp and the Schwarzkopf Monster II. 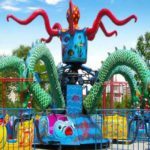 So, what are the benefits of including octopus rides to your collection of rides already available in the amusement park? The first advantage that can be deduced from our discussion is that it provides riders with a lot of fun that they wouldn get from any other ride. The structural design of the octopus is so unique implying that the experience provided to the riders is like none other. Think of it as providing your visitors with a new way of having fun. 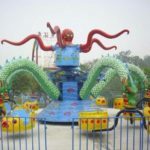 The other advantage stems from the fact that the octopus can accommodate slightly more riders at a time than most other amusement park rides. This is because of the high number of cars than can be accommodated by each arm. 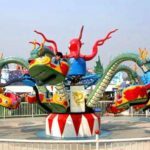 As the park owner, you are more likely to make more money at a go with the octopus while for the customers they may not have to wait for long for their turn. The other obvious advantage is that the octopus is not a kids-only playing toy. Instead it pretty much accommodates everyone regardless of their age or gender. In addition to that, it has been equipped with ergonomics that make it safe for the riders. 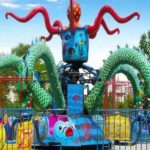 The octopus is therefore a must-have addition to your amusement park.